Fist bump… High-five... Handshake… Hug. No matter what the greeting, this is sure to be another great day in Mrs. Livingston‘s classroom! To help build relationships and demonstrate kindness, students in Mrs. Livingston‘s kindergarten class each receive an individualized morning greeting from an appointed “student greeter” of their peers. Students choose the greeting they wish from a symbol on a card held by their official “greater friend“...the greeter does the rest, welcoming their friends to another great day at JAG elementary! 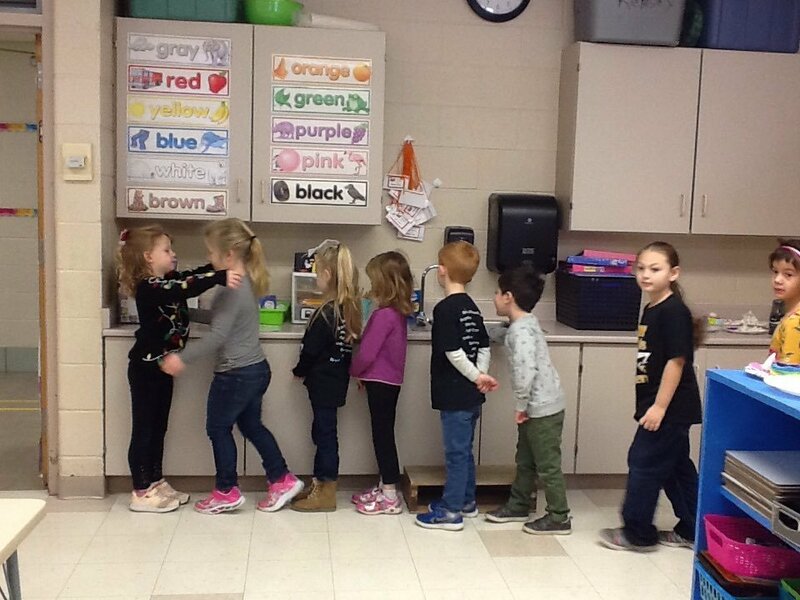 By allowing each student to choose their own personal method of greeting and to communicate it to others, students learn an important lesson in consent (one that teaches them to respect one another’s personal boundaries). A positive morning greeting among peers provides a sense of community, demonstrates respect for others, and sets the tone for another great day. We sure can learn a lot from all of the students in Mrs. Livingston’s kindergarten classroom. Thanks, kids. High-five!